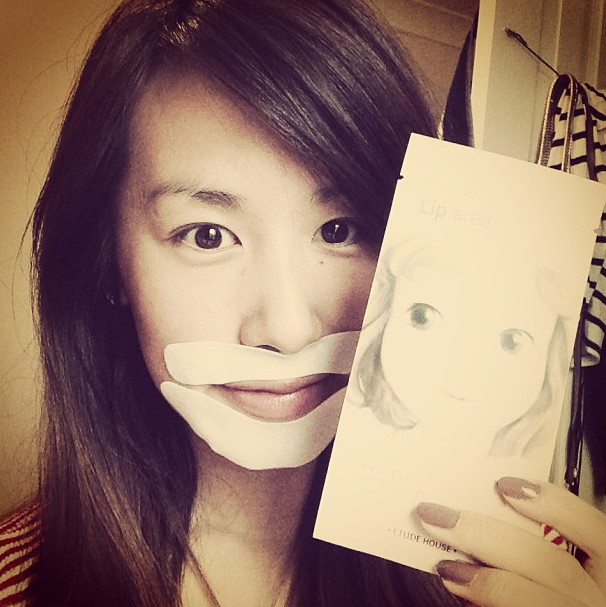 So for the past few weeks I’ve been in constant battle with… my chin! Yes my chin! For some reason I’ve been breaking out constantly! More annoyingly they seem to come and go one at a time! Soon as one goes, another raises it’s ugly head before I have time to whoop! I don’t know why it’s only my chin either! I’ve been exfoliating, doing face masks, strips, the lot! Nothing seems to help. I know it’s only one spot and not exactly the end of the world, but it’s RUINED MY LIFE…. well my blogging life at least hehehe! Jokes and drama aside, this spot has deterred me from blogging as much, as taking close up photos with that on my face isn’t exactly the most confidence boosting. However, I decided to bin that thought and just embrace it by doing this “How to conceal your spots or blemishes” post. I’m no Make Up expert but after 6 weeks of constant concealing, I’ve picked up a few tricks that work for me and I thought it might be useful to share. Thank goodness for makeup as at least we can cheat our way to get flawless looking skin. Before we begin, it should go without overstating the obvious that you should always make sure you work with clean tools, clean hands and clean skin. You don’t want to be making things worse and risk spreading the bacteria. First apply your foundation to even out the rest of the skin. I used my Lush Dark Yellow Colour Supplement. Love this as foundation as it gives a radiant, dewy finish thats great for Summer. Next take your concealer and put a little product on to the back of your hand. DO NOT apply straight from the tube as this could leave nasties on your concealer and hence cause further break outs on your skin. The concealer should be an EXACT match to your skin tone as anything lighter will just emphasise the spot even more. I’ve found thick, creamy, stick concealers work best on blemishes and this Bobbi Brown Face Touch Up stick is perfect for helping my skin appear flawless! (At least from a distance anyway hehe). Apply concealer in thin layers, this will help the concealer to stay on longer and look more natural.Taking a small brush, the smaller the better and more precise you’ll get, (I’m using e.l.f.’s Small Precision Brush), dot the concealer on the area surrounding the spot. Blend in towards the centre to conceal any redness. This should help minimise the appearance of the spot. You wont be able to get rid of the height of the bump as unfortunately science wont allow it, but we can make it less obvious. The spot should be less obvious and red, all that’s giving it away now is the centre of the spot. Using a clean finger, gently pat to blend in the concealer, the warmth of your fingers will help it melt in and settle. Just be careful not to over do it and erase all the work you’ve done so far. This final step is vital if you want your face to appear flawless and blemish free all day! Set the concealer with a bit of loose powder by dipping a flat concealer brush into the powder and gently press it on to the concealed blemish. Be careful not to sweep as you’ll just take it all off and just uncover the spot again. Once you have a fine layer of setting powder, let it sit for a bit before using your finger to gently dab and get rid of any excess powder. That’s it guys, I hope you can see that the spot although still visible, is looking very much less red and glaringly obvious. I also hope you’ll find this helpful. I’ve not really done many tutorials before as I’m not a Makeup artist by any means and am in no position to tell you how to or how not to do something. I will have a good bash at things myself though and thought I’d share my personal experience and tips with you. Let me know if you guys would like to see more Tutorial posts or how I can make these posts better! Would love to hear your feedback guys! 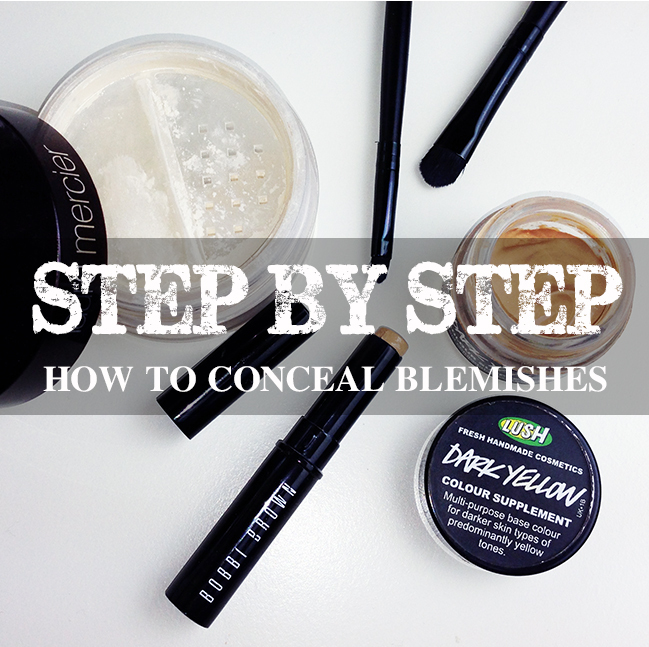 Tags: Bobbi Brown, Concealer, How to Conceal blemishes, Imperfections, Laura Mercier, Lush cosmetics, spots. Bookmark the permalink. This is absolutely flawless! I’m awful at concealing jobs, and this will be a great tutorial to use in those awkward times I have one that just won’t let go. Thank you so much, and please, even if you’re not a makeup artist, continue sharing your expert advice like this! That is truly incredible! I always see the step of “apply concealer” but that is the part where it looks super cakey on me. This was an amazing tutorial. Wow, you’re good. I’m always impressed by people who can do this and do it so seamlessly – I’ll definitely be trying out this step by step! Thank you so much for sharing! Wow, the result is fantastic! I’m following you now :)) Love your blog! I’ve got a lot of blemishes on my face.. This helped me a lot.. gotta really try this one.. Thank you! !